Franciacorta is Italy’s premium traditional method sparkling wine (think Champagne with an Italian flair) from the province of Brescia in the Lombardy region. Il Mosnel winery is an historic Franciacorta producer; it has been run by the Barboglio family since the early 1800´s; the Il Mosnel label has been around since the late 1970´s. 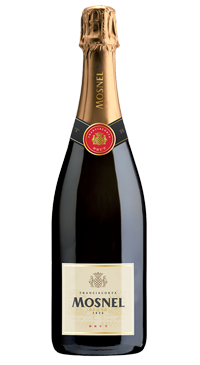 Mosnel Brut has been produced since 1979 and is a house favourite. It is a blend of 60% Chardonnay, 30% Pinot Bianco, 10% Pinot Nero. The grapes are hand harvested and after primary fermentation, the wine ages in bottle on the lees for 24 months before disgorging. in the glass, the wine is a deep yellow with a fine and persistent mousse. Aromas of sambuca flowers, hawthorn, subtle citrus, stone fruit and almonds. The aromas continue onto the round and balanced palate.